Sheeples are all individually handmade, giving each a unique personality. When in a group, you know they're all a part of the same family, but each has a distinct character and expression. 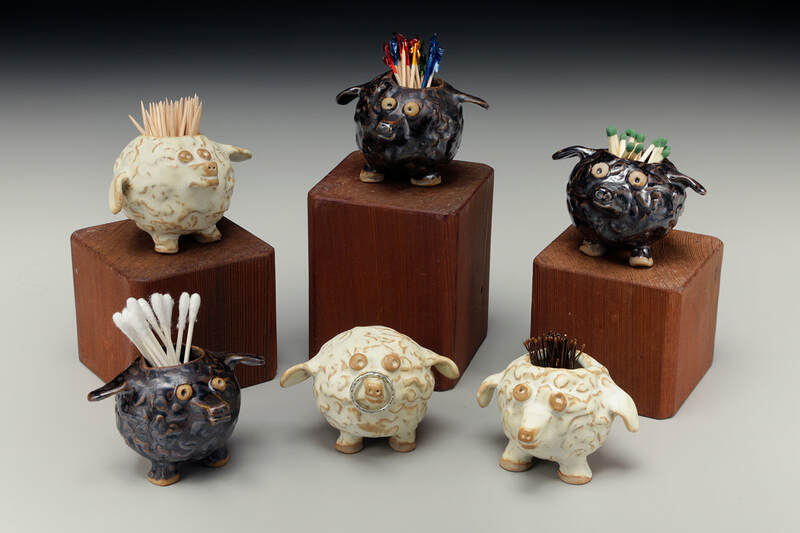 Sheeples are available with holes to hold toothpicks, matches, hairpins, cotton swabs - even small plants! 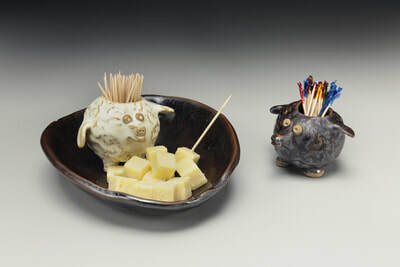 They are also available as darling figurines ready to brighten your day, and perhaps hold your rings! 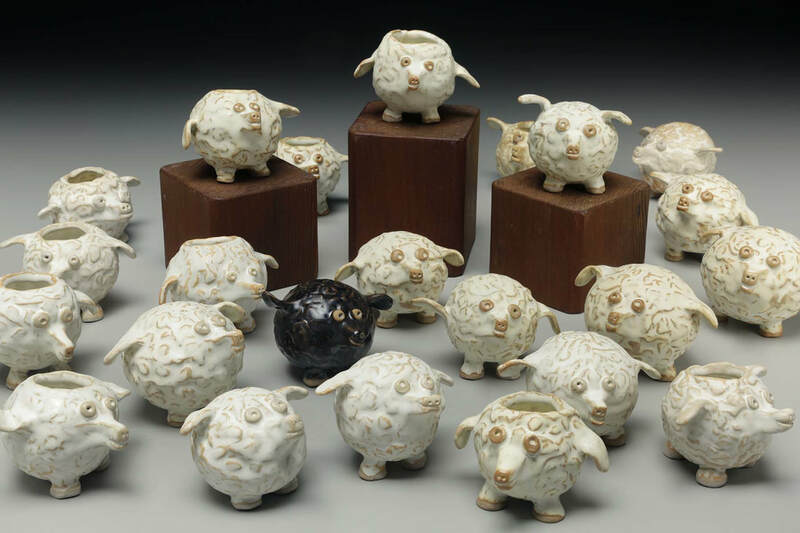 Sheeples come in black glaze and white/off white. Because each Sheeple is individually handmade, you may order sets, but they will not be identical. Sheeples are high-fired in a reduction kiln, and the white glaze will vary from white to off-white with random coloration. Cost: $36 each, plus $6 shipping anywhere in the US. International shipping available and priced per order. Wholesale/bulk orders available, just contact us for details! 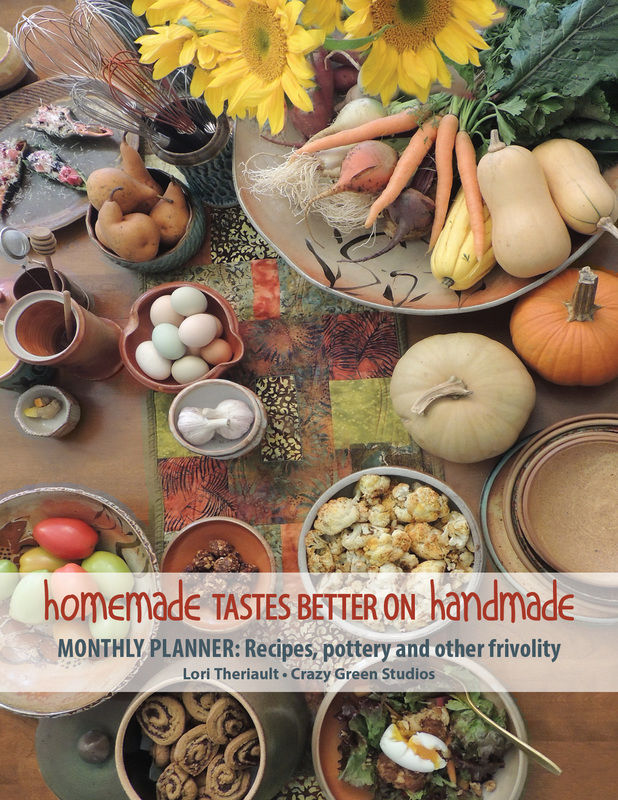 homemade tastes better on handmade ... every month! ​is laid out as a list, and there is a calendar reference for each month, for 2017 and 2018, so you can use it as an actual calendar planner, or you can use it for daily reminders, to record special annual dates, to plan your menus, or even just keep as a diary - this is something that will become a treasured part of your library. And if you do fill it up, you can order more - updated versions with new recipes and more gorgeous photography are planned about every other year. The Planner measures 8 1/2 x 11, and has a spiral binding at the top. You can hang it on the wall for easy access and monthly inspirations, and the top spiral binding makes this planner easy to carry along and flip open to record a schedule note or reference one of the 12 delectable recipes and tips. And that same top spiral binding makes it comfortable to write in whether you're a leftie or a rightie! Laurie McCarriar's beautiful photography will also highlight the many different ways you can use handmade in preparation, serving, and accessorizing your homemade creations.